FACT — The liver is the largest glandular organ in the body and performs many vital functions to keep the body pure of toxins and harmful substances. Go ahead, give your liver a pat on the back for helping to keep you alive all these years! Interestingly, for an organ that does so much for us, its location, purpose, and the possible complications associated with it are still a mystery to many people. Today, FastMed Urgent Care is going to change that. Open 7 days a week, including weekends and holidays, FastMed Urgent Care is a leader in offering medical care that is prompt, personal, and available when you need it. Fatty liver disease: A disease that occurs when more than 5-10% of your liver is made up of fat. 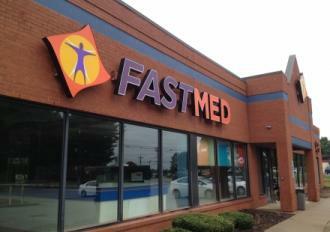 FastMed is dedicated to providing all of our patients with high-quality, cost-effective medical care. We accept most forms of insurance, accept most major credit cards, and offer a clear, affordable discount program. Contact us today!